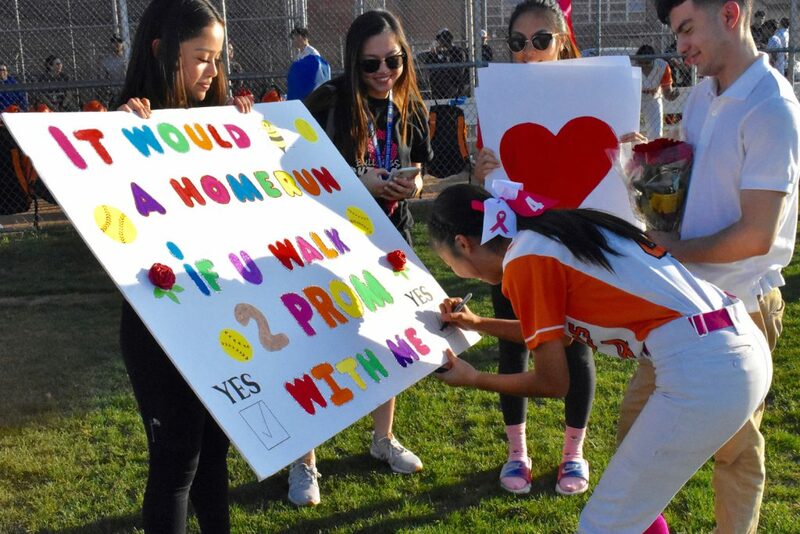 With the help of his classmates, Joel Vera asks softball pitcher Tina Nguyen to go to prom with him. 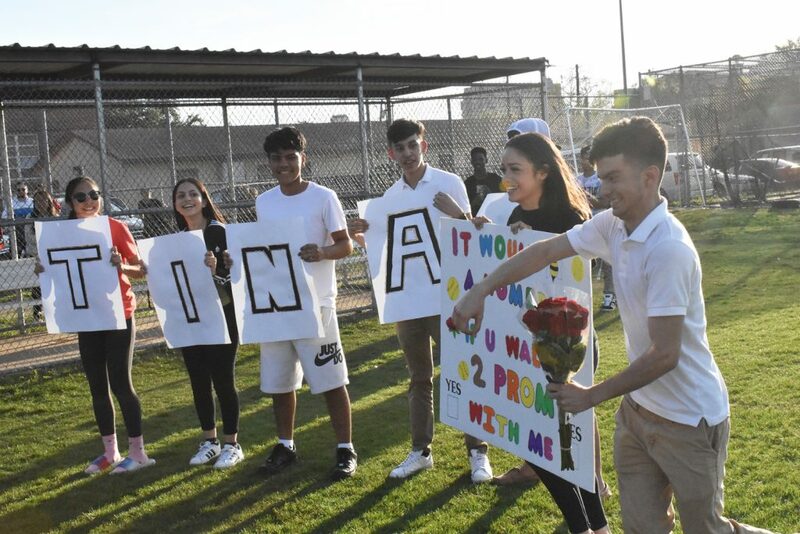 And Tina puts a check on the “yes” box. 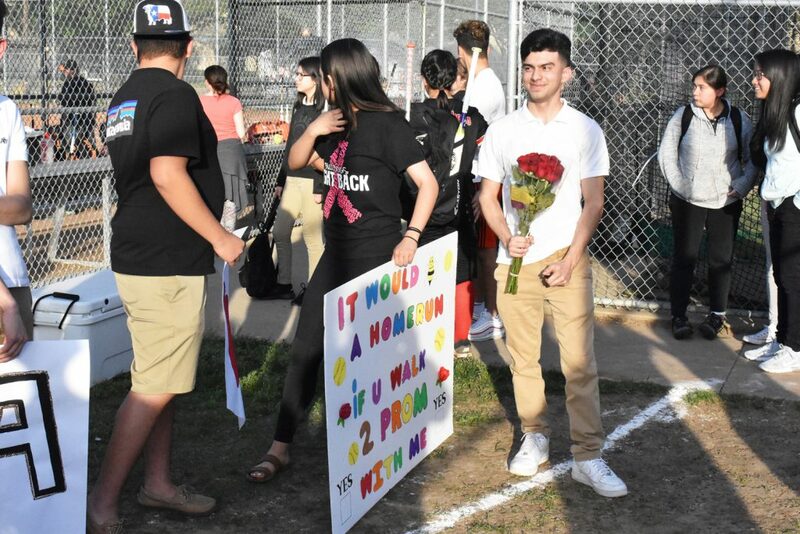 Joel Vera and his friends were patiently waiting Tuesday outside the dugout at the North Dallas softball field. 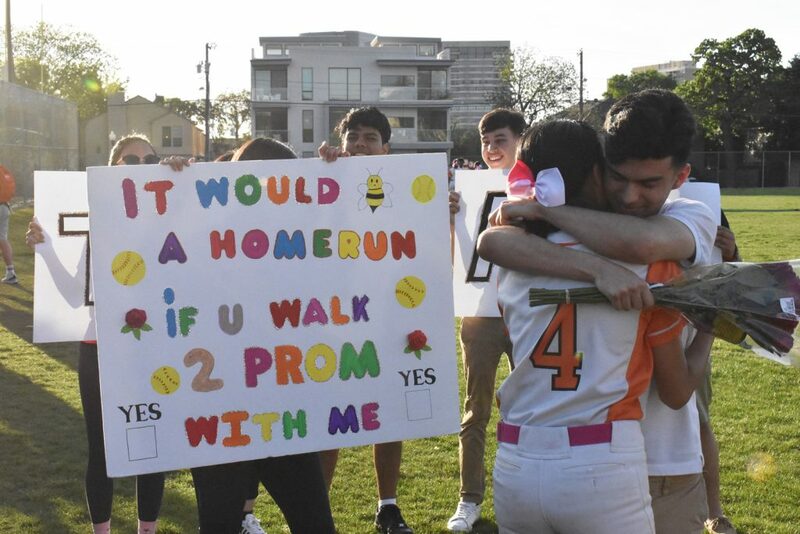 He had signs with letters that spelled out Tina, and a big poster that said “It would be a home run if you walk 2 prom with me.” There were two “yes” boxes at the bottom of the poster. 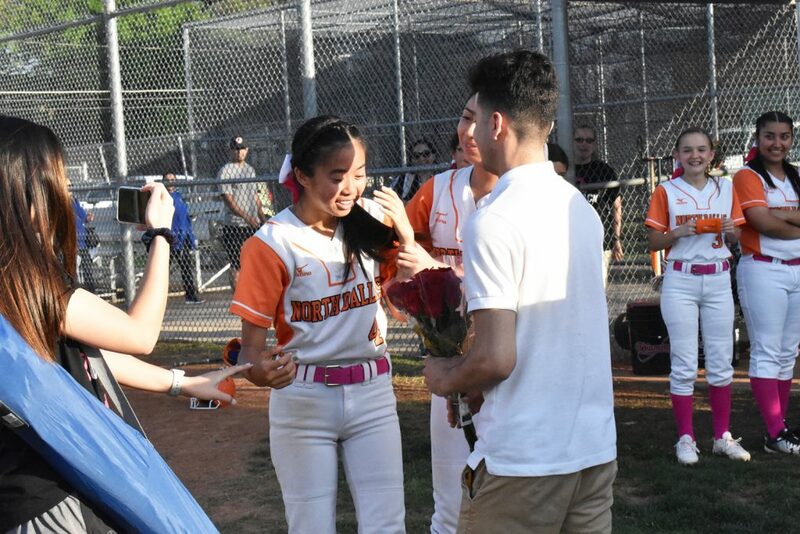 When North Dallas softball coach Chris Barnhill was finished talking to the team, Joel and his friends moved to the field, and surprised softball pitcher Tina Nguyen with his prom request. 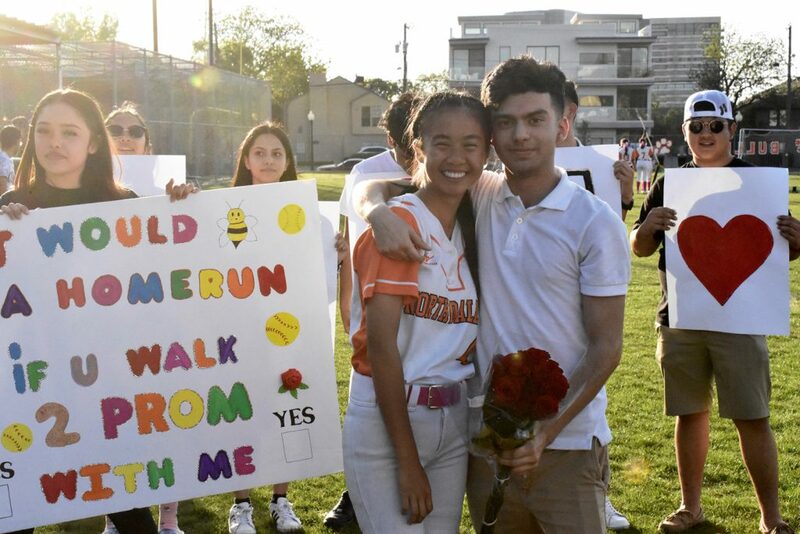 Tina looked very surprised and happy, and she put a check mark in the “yes” box. 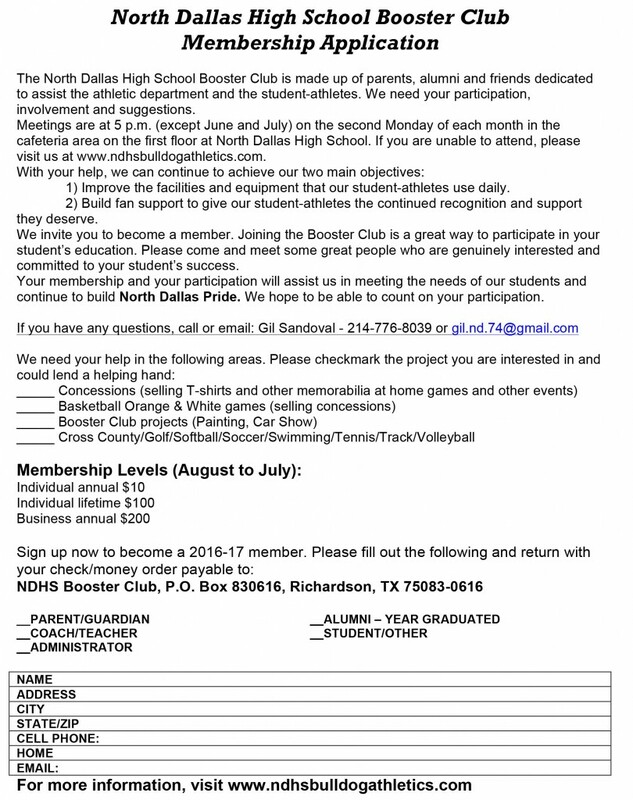 The North Dallas prom will be held from 7 to 11 p.m. Saturday, April 20, at the Empire Room near downtown Dallas. 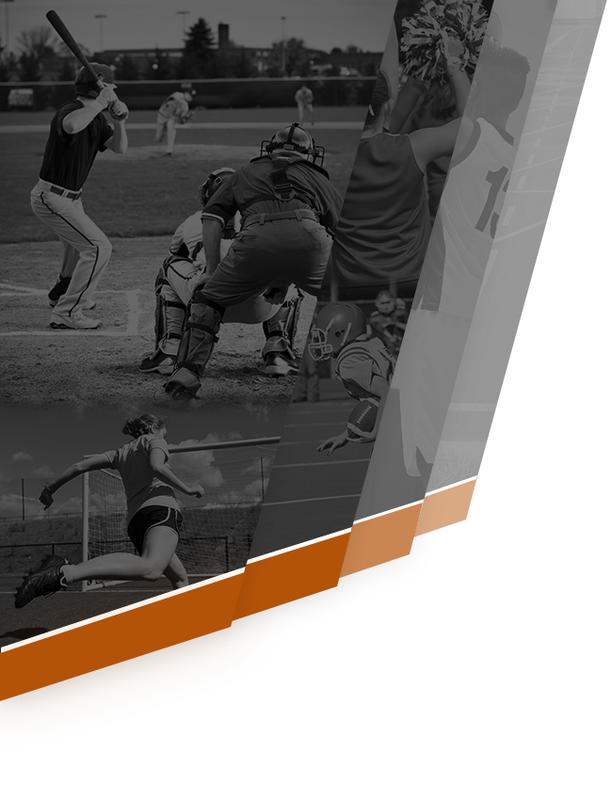 Joel Vera waits after the game for the Tina and the team. 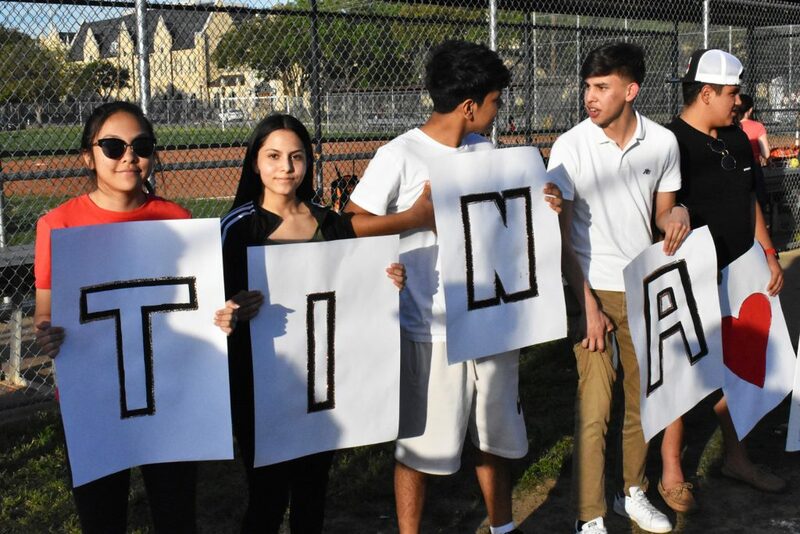 Joel’s classmates hold signs that spell out Tina. 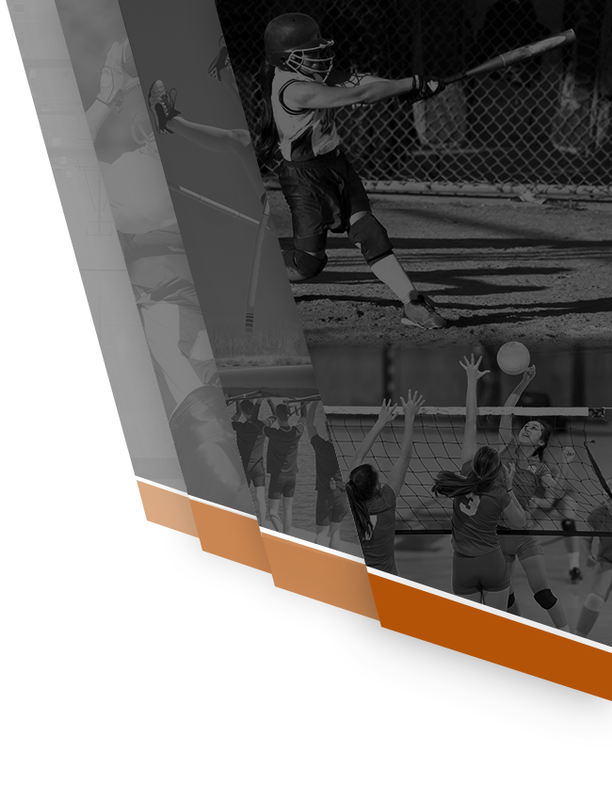 The group moves toward the field, where Tina and her teammates are listening to the coach. Joel presents Tina with flowers and the poster. 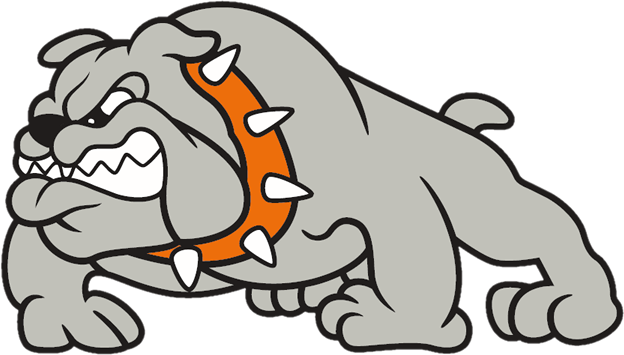 and he gives her a hug. And then it was time for a photo to remember the occasion.